Senate Advances Debate on Yemen; Will US Involvement End? 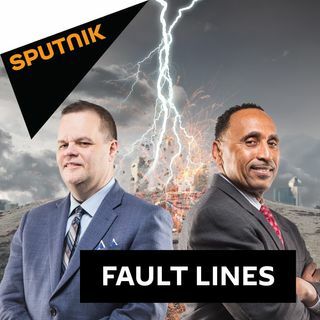 On this episode of Fault Lines, hosts Garland Nixon and Lee Stranahan discuss the US Senate's move to advance debate and subsequently allow a floor vote regarding US support for Saudi Arabia in their conflict with Yemen. Is US policy on this situation poised to change, or will this simply become a case of politicians talking tough without taking any meaningful action? Dr. Bosworth - Internal Medicine Physician & Author of the Book: 'ANYWAY YOU CAN' | What is 'BHB' and its Importance to the Keto Diet? High-profile drug lord and former leader of the Sinaloa Cartel, Joaquín "El Chapo" Guzmán, is currently on trial in New York facing charges stemming from his time leading the Sinaloa Cartel. New York-based reporter Dominic Carter joins today's show to discuss the trial and to detail the scenes from around the courthouse where the trial is being held. The Guardian was forced to correct a major story involving Paul Manafort and Julian Assange after their reporting was found to be faulty. Garland and Lee break down this story and how it fits in with modern-day propaganda in the current political/media environment. For the final segment, the hosts are joined by Kevork Almassian, founder of Syriana Analysis, to discuss the situation in Syria and the various factions who continue to compete for power inside of the country. Who are these major rebel groups, and what are the details about a recent alleged chemical attack that took place in Aleppo?